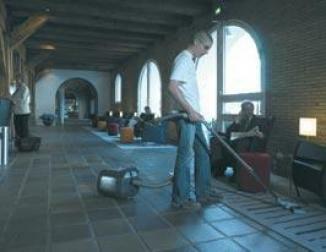 At last, a compact single vacuum with all the features of larger model. 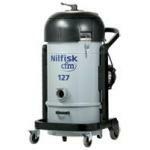 Mod 127 is a compact 2 singlephase motor industrial vac. It's available in L M H versions where classified dusts have to be removed according to the EN 60335-2-69. It's also available in Stainless Steel: just container or container and filter chamber. The 127 is powered by 2 x 1.000 Watt by pass, self cooling motors mounted on a stainless steel AISI 304 support. The machine is supplied with a 9 metre long cable, the motors can work indipendently from each other by means of the on/off switches.In the control panel there is also an extra socket to plug other tools in. 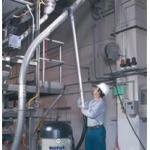 A manometer enables a visual control of the filter, hence of the global efficiency of the vac. 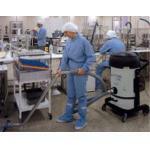 The external manual filter shaker ensures an easy and hygienic filter cleaning. 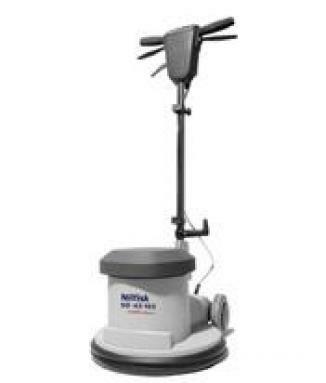 The cover is made of shockproof, scratch resistant ABS, while the filter housing, the dust bin and chasis are made of heavy duty steel painted with epoxy powders. The larger is the filter surface, the more effective is the filtration, that's why mod. 127 is fitted with a 1,95 m2, polyester star filter "L" Class as standard. In case absolute filtration were required, a HEPA filter with an efficiency of 99,995% (MPPS method) is available. 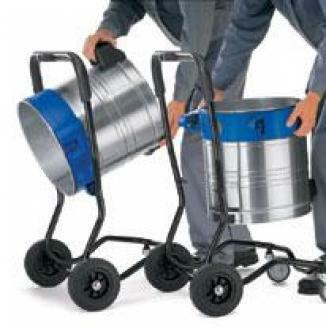 The steel waste bin with a capacity of 38 litres is fitted with castors and easily removable through a patented, highly practical handle release system. The machine frame is made of heavy duty tubular steel to ensure robustness and a longer lifetime, there is also an useful basket tools in the back. 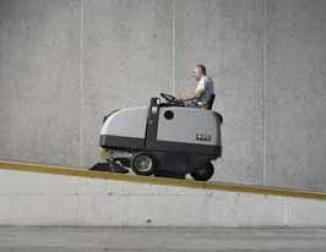 Its manoeuvrability is ensured by means of 2 fixed wheels (Ø 150 mm) and 2 swivel ones with brakes.